I have sued this bag multiple time for checking my car seat. It has kept the seat like new and free of damage. Awesome bag! 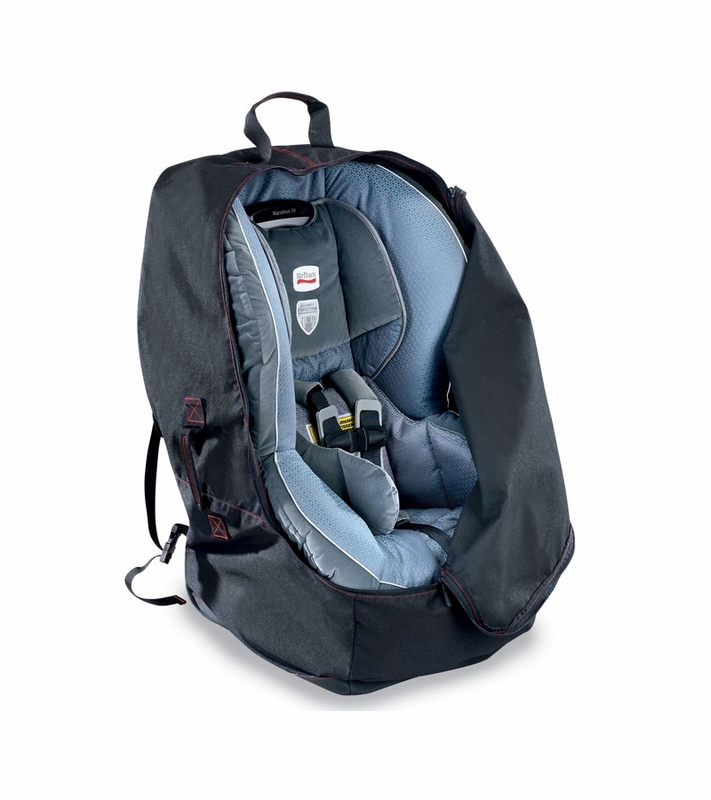 Great do-it-all bag for easy transport and protection of car seats. 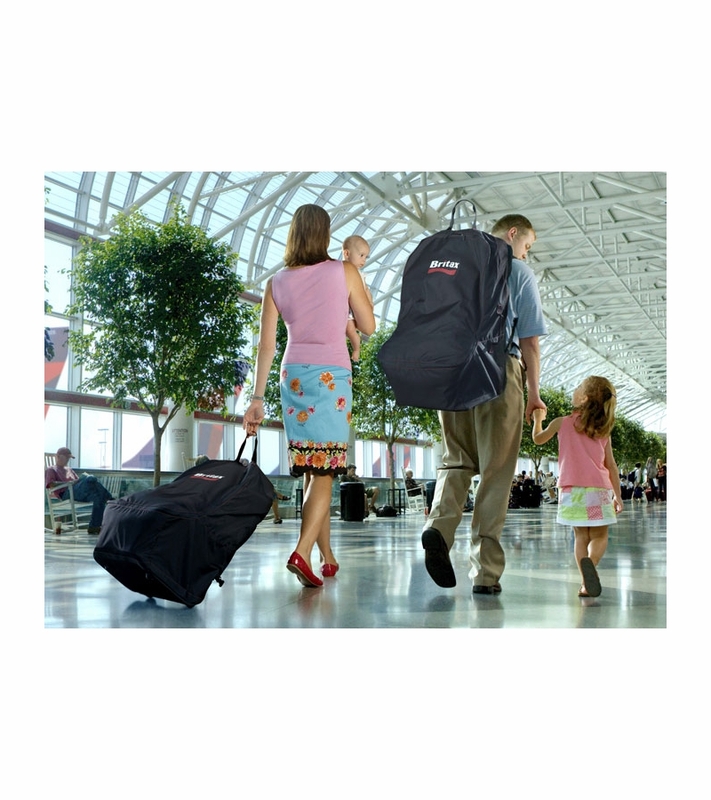 We used it on our first trip with 3 month old twins and brought the bags to the gate. Then we put the twins in baby bjorns and packed everything into these huge bags. They were easy to carry once we got off the plane with their backpack straps or the rolling wheels. 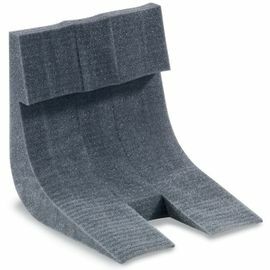 Again, great material, sturdy product, but a little big and bulky if you are tight on space. This works great. We have a Marathon car seat and it fits great. We used this when traveling with our little one. 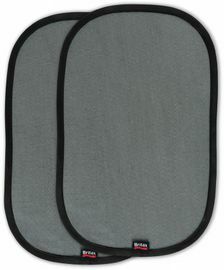 I bought this cover to use for my travel through the airport it was easy to use and pulled along behind me just fine. My husband carried it on his back he was to tall to pull it. It was great with the different ways to use it. 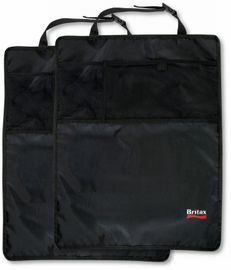 Just ordered this cases for my britax boulevard click tight and I have nothing but great reviews for it. I used it for my trip to NY. I didn't want the car seat to get all marked and scuffed under neither the plane and traveling airport to airport and this thing worked like a charm. 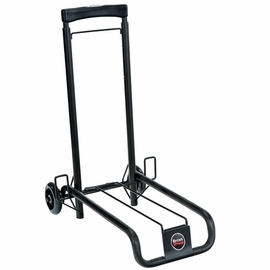 It's very sturdy, has wheels, and a backpack too! 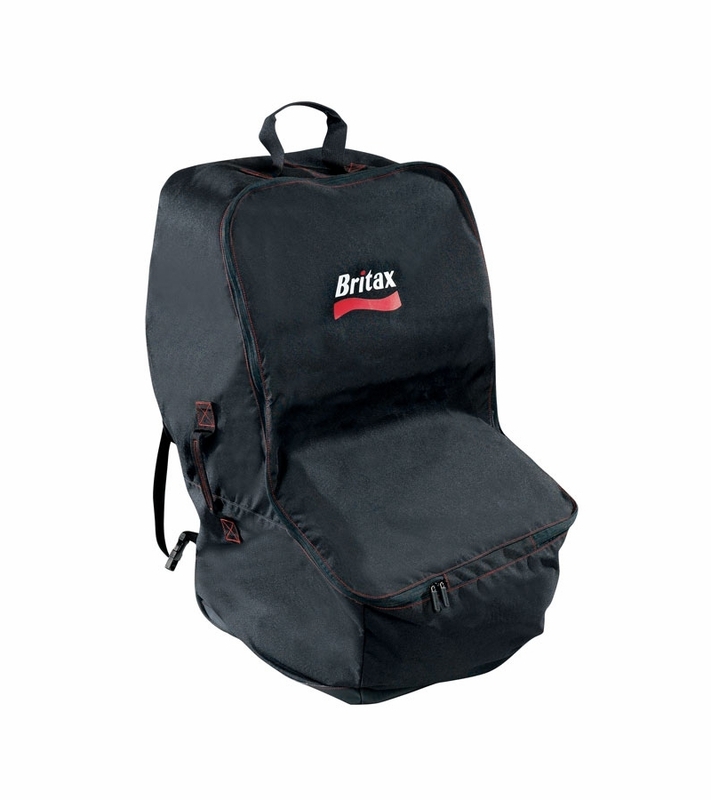 we bought the Britax Pinnacle for safety and this bag allows us to travel with this HEAVY booster seat with out a problem. it is super easy to get in the bag and manage after it is in. Love this. Recently used these bags to travel with our four year old twins. They were great for the airline and ease of use! I highly recommend these bags! 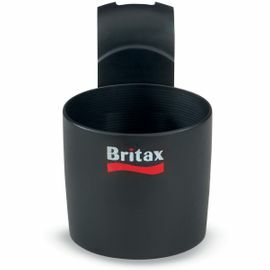 Perfect fit for Britax car seats. Easy to use and store. This is a nice bag and the wheels make it easy to take thru the airport but I really wish is had one of those retractable luggage handles to make it easier to pull. This is a very nice bag and worth the cost. Our Peg Perego Primo Viaggio Convertible car seat was a tight fit across the front (the wings that go beside child's legs) but it did fit. It was just a little difficult to zip that part. We used the bag to check our car seat on Amtrak, and the bag and seat were in good condition after two uses (there and back). We didn't use the wheels much, because we had a lot of other bags to carry. The seat is very heavy, so it was uncomfortable to carry it on your back, but I think this bag made it as easy as it could be. The quality of the bag seems very good, and I love that there are wheels and backpack straps and lots of handles. It makes the heavy car seat much easier to carry. Nice bag, helps a lot to protect carseat. 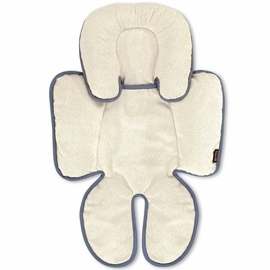 ProsNice bag, helps a lot to protect carseat. 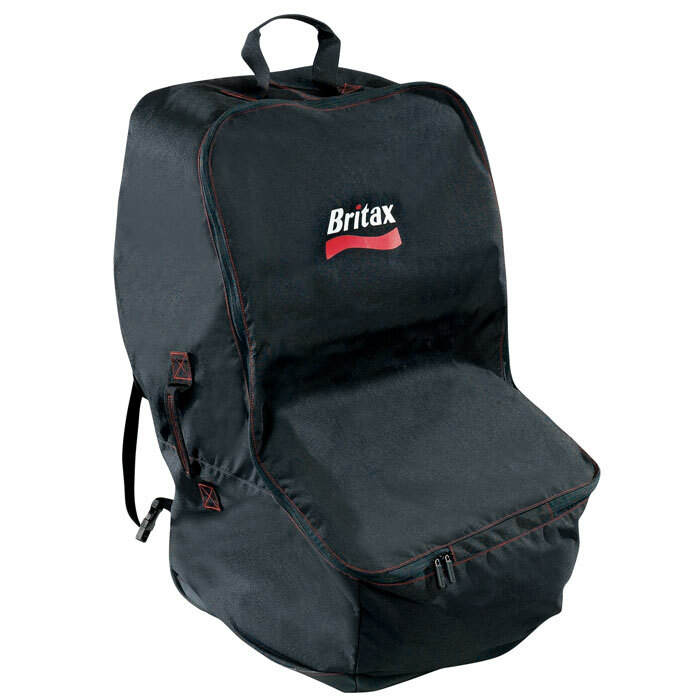 This carseat travel bag is very durable, easy to use with casters built in for pulling the seat along. We were even able to use the interior of it for overflow packing when our suitcases got a little fuller on the return trip home. Definitely would recommend this product. 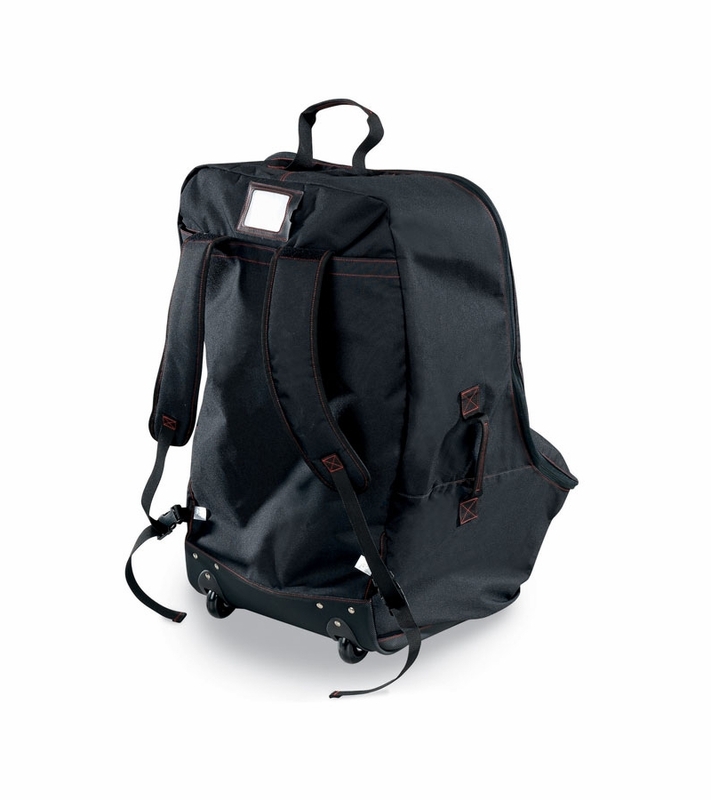 I wish it was a little less expensive, but ultimately it's a quality bag with good features. Worked perfectly protecting our car seat from the airline baggage handlers. And the wheels make it very convenient to maneuver through Atlanta's huge airport.